Orazio Scicolone received the B.Sc. degree in Computer Engineering from the University of Palermo in 2013. He attended also the M.Sc. degree in Computer Engineering at the Politecnico di Torino in 2016. 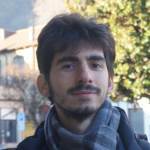 Since February 2017 he joined the Department of Control and Computer Engineering at Politecnico di Torino as research assistant.His main research interests are Bioinformatics and Machine Learning.